In 2011 we added some really exciting things to our program! Since we are now in our new and beautiful space, dress rehearsals were held on our stage and rockers got to play through our state of the art sound system. Band photographs were taken outside on our beautiful property and students got the chance to enjoy the sun while they worked on their material. We had 2 amazing shows! 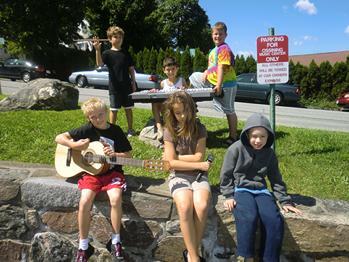 Week 1 Showcase was held at the Ossining Public Library in the Budarz Theatre and Week 2 was an incredible outdoor performance in our parking lot complete with picnic dinners, ice cream trucks and lots of of original music created by our 5 incredible bands. 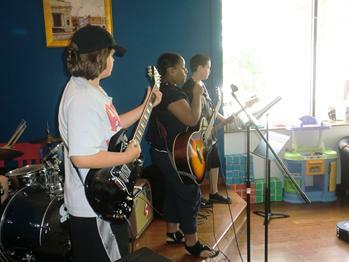 Rockers came from all over the county to participate in our program. 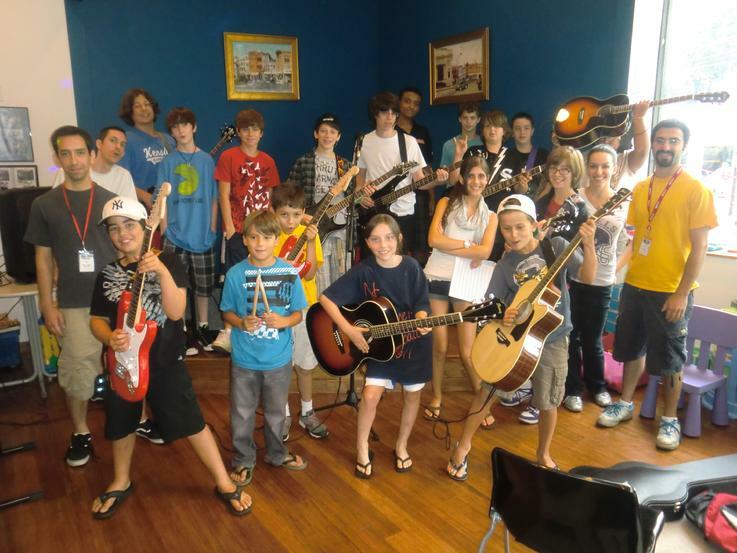 Our camp has evolved so much since we started it in 2000, we are so proud of being one of the original rock band camps in the area and take pride in growing every year. We look forward to an incredible summer in 2012! 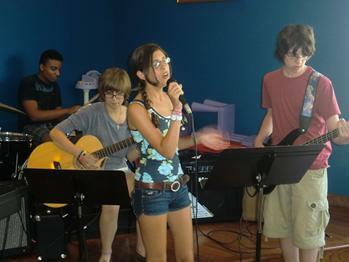 One of our 10 bands in 2011! 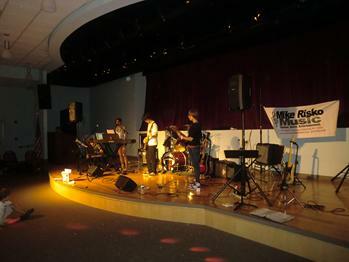 Showcase 2011 at the Budarz Theatre in Ossining. Dress rehearsals every day on our stage give students the confidence to be ready for our show. 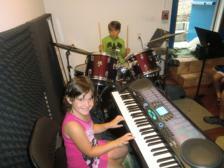 Sound proof studios create a great space to write original music with the bands. 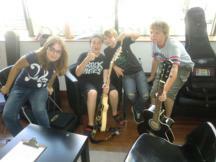 It is so much fun to make friends with other musicians in the bands! Good mic technique and other important skills are taught to the bands! 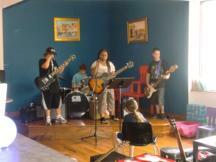 It is really fun to see what original tunes come from each of the bands!